Can I Run in a Race I Didn't Register For? "I wanted to run the Chicago Marathon and I found out that it's sold-out. Can I still run it without a race number?" Sorry to hear that you couldn't register for the marathon. 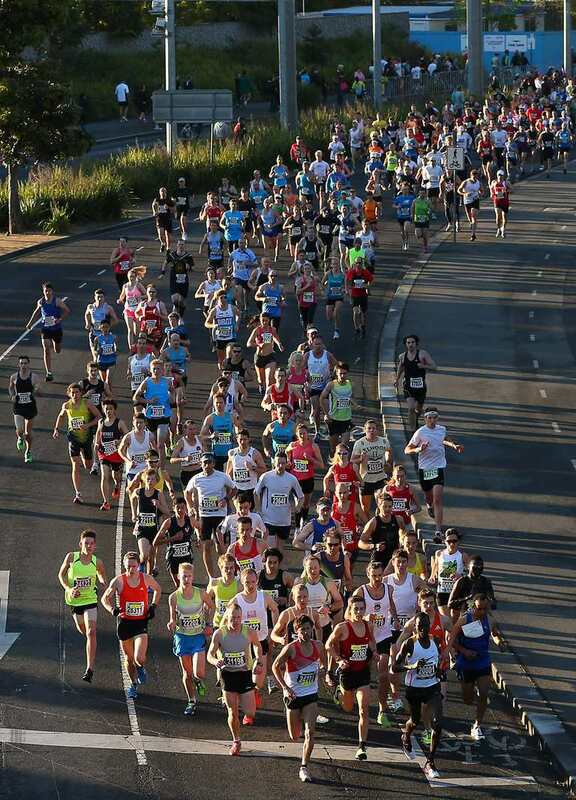 Some road races, especially big marathons, are very popular and reach capacity months before race day. As a result, many runners go to sign up for a race and are disappointed to learn that they've been shut out. Although it may be tempting to jump into a race without paying for it, this practice of "banditting" or "rogue running" a race is not a good idea for many reasons. First of all, race directors have limits on their races to ensure that runners and walkers have a safe and enjoyable experience. They plan their course amenities, such as water and sports drinks, and medical assistance based on the number of people who have signed up for the race. So, if you jump in without registering, you're making the course more congested and taking race resources away from runners who've paid for those benefits. In addition to being bad running etiquette, you'll also cheat yourself by banditting because you'll miss out on some of the race perks that make road racing fun and motivational, such as official race photos, awards, and accurate results from a timing device. And if you get caught running as an unregistered runner, some race organizers and running clubs may ban you from future races. So, do yourself and other runners a favor: Be smart, courteous, and safe by only running races that you've registered for. And make sure you know when registration opens for a big race so you can sign up early.